Raven Row, London 3rd Dec 2015 to 14th Feb 2016. 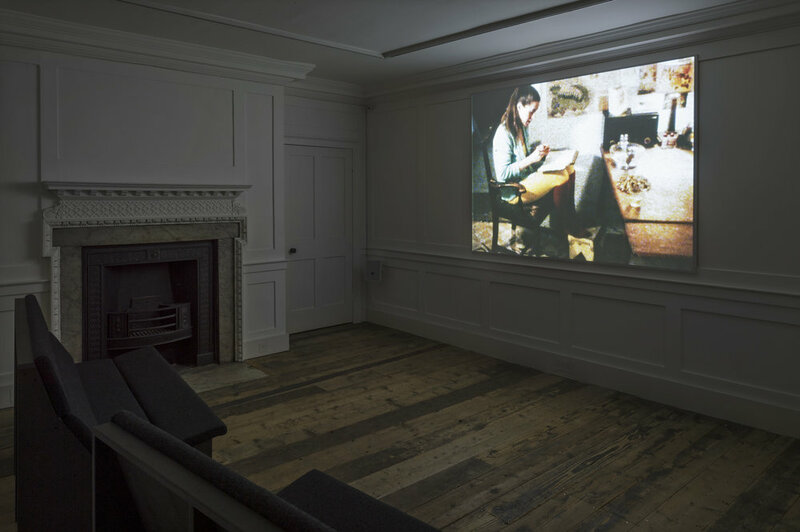 The Inoperative Community was and exhibition of experimental narrative film and video staged throughout the various rooms and galleries of Raven Row. A daily programme of films were shown in different scale spaces. The largest being and auditorian for up to 30 people, whilst other rooms were more intimate with seating for just a couple of visitors. We designed and fabricated the seating specifically for the exhibition, as a modular bench/chair that could be sized to suit the various spaces. The aim was to create a simple economical bench which visitors could sit on comfortably for several hours at time to watch the screenings. The seats and backs were padded and upholstered with dark Bute wool fabric, and the structure was made from black Valchromat sheet parts assembled on site.